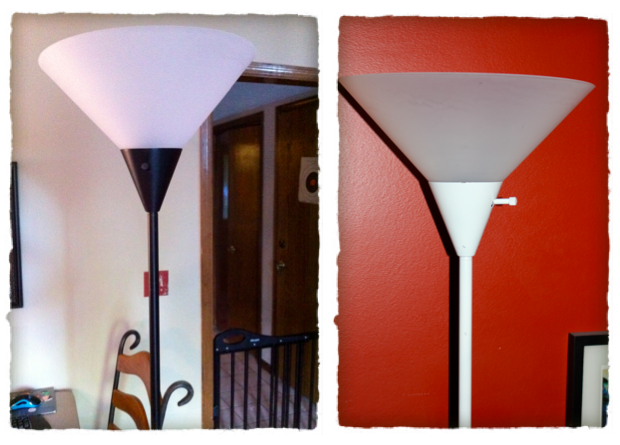 >I needed some more light in my front room and my living room and I needed it to be CHEAP. So I did what every self respecting person would do and I pasted a request on facebook to see if any of my friends had a lamp they wanted to part with. Ok there’s this on-going joke between me and my close friends. I tend to gravitate towards doing projects the quickest and easiest way possible. I LOVE to cut corners. Honestly it’s probably because I’m still a little kid inside and as soon as I dream up a project I just want to see the finished product RIGHT NOW. SO, I’ve become a little bit addicted to spray paint. The joke is that if I had my own redesign show it would include a segment each time where I would lead the crowd into yelling my slogan “JUST SPRAY IT!” Of course it would be said in a super cheesy way. 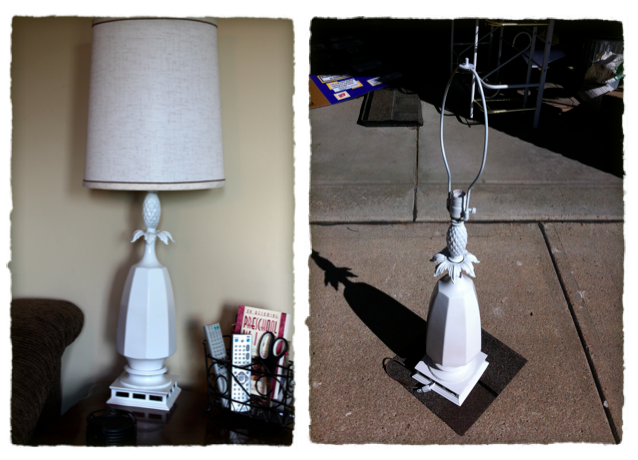 So we have limited time and resources, what should we do with this lamp? . . . 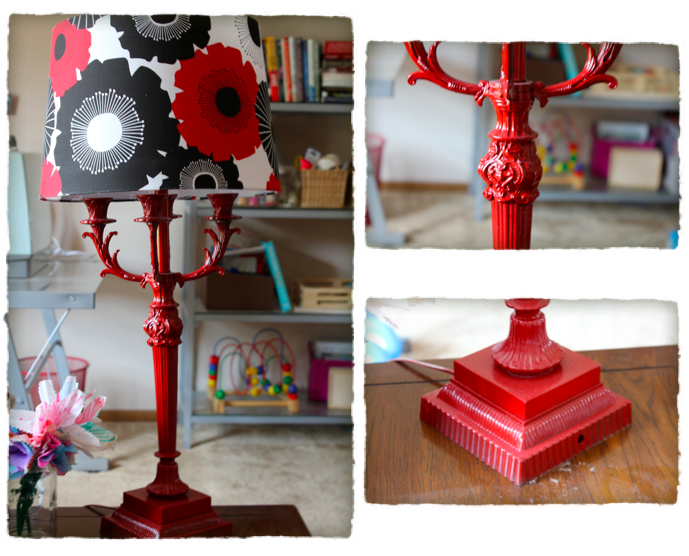 I spray painted the first lamp with a fun bright red and then found a shade at Target for $14. I love how it brings out the character in the lamp. 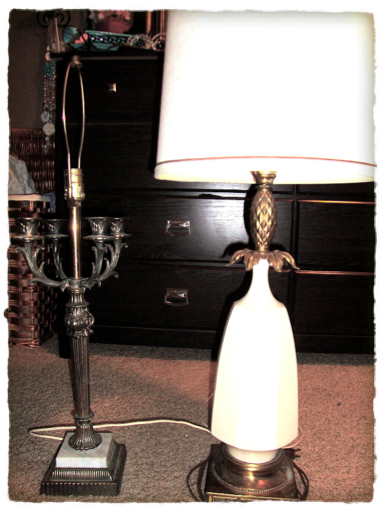 The 2nd lamp had some ceramic on it’s base. I didn’t know if it needed a primer so I bought a can of spray paint primer and applied that first, then a plain white. I’ve been looking for some fabric to possibly cover the shade in. That will be for a later post. and found some friends to hang out on my mantle. 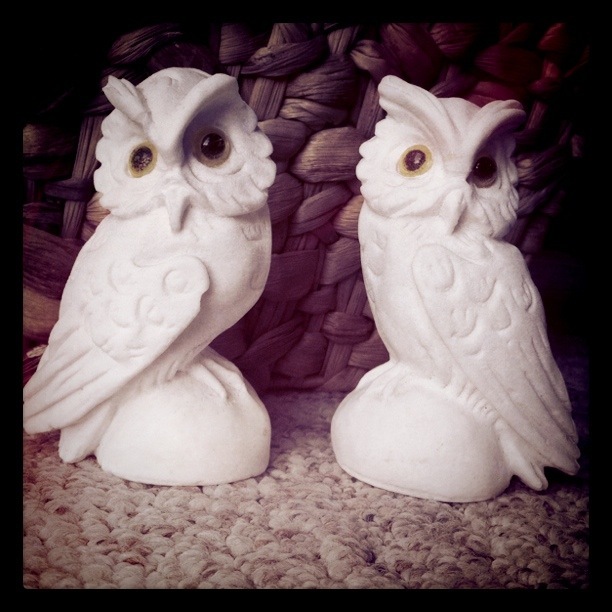 My lil sis and I hunted all over to find these 2 lil owl guys. We find their eyes a bit creepy. We finally found them in a Goodwill. It was a good day.